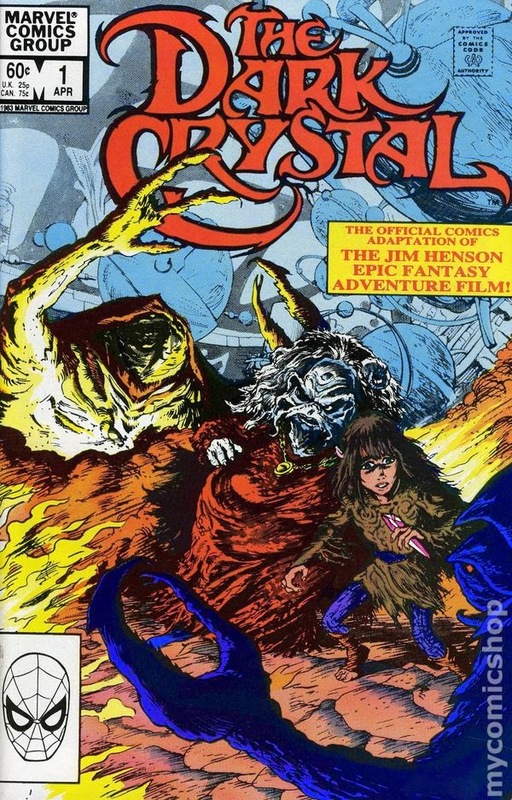 The Dark Crystal 1983 Comics – I got this two comic series at the last DragonCon and they are delightful. It’s interesting to see how comics have evolved over the years-the quality of the graphics are definitely not up to today’s usual standards, but reading the story was great. (I am a huge Jim Henson fan and I own the movie version. An acquaintance recently said she hated The Dark Crystal and my heart literally hurt.) While I love so many of the characters, Fizzgig stole the book. OMG-the pictures of him were just hilarious and adorable. I will absolutely name my next pet after him. It was also much more apparent when reading the story of the Christian elements present-it speaks of the trinity in metaphor and the story took on even more spiritual meaning for me. I had never gotten that the Skisis and the Mystics are two parts of the same being, who must die in order to be whole again and move onto a higher enlightenment. Very deep. I am in awe of how Jim Henson took Christian and other spiritual religious concepts and made them palatable to all kinds of people. I love him. 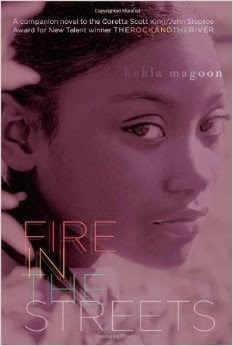 Fire in the Streets by Kekla Magoon – This is the follow-up to The Rock and The River and I loved it. In fact, I liked it better than the first book, which is rare. It is the continuation of the story of what happens with the burgeoning Black Panthers group in Chicago, but this time told from the point of view of Sam’s on-and-off-again girlfriend, Maxie. The story doesn’t start where the last book stopped and while you could read it by itself, I think it makes more sense to read it after reading the first in the series. The book is much more fast paced, as Maxie doesn’t wrestle with indecisiveness that Sam did, but has already made up her mind to be a Panther. It tackles issues of race, gender, class and growing up too soon. While Maxie is concerned about her relationship with Sam, her main concern is her family and politics and it is so nice to meet a female character-a teenage one, at that!-who looks beyond impressing boys, but into justice and making her community a better place. The book continues with the theme of family alliances and sacrifices by explaining a possible reason why someone might rat out their own group. Maxie learns about the world’s complexity and that sometimes a question has more than one right answer and by the ending, so has the reader. This is a book full of heartache and hope. I loved rooting for Maxie and for her future-I would love to read more books about her. The first book in the series won a lot of awards, which is great, but I wish this book would get more attention-it was my favorite of the two and I don’t want people to skip reading it. 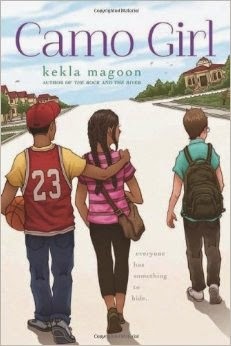 Camo Girl by Kekla Magoon – I just like each new Magoon book more and more and this is my favorite of hers so far. This book, set in the present day, really moved me. It covers issues of race, mental illness, class, and identity all with subtlety and grace. All of the characters felt very real and relatable and again, I respect Magoon for tackling some tough subjects with great skill. My only complaint is that I was left wanting more and I really hope that there will be some sequels soon-the characters feel so real, that I long to know what happened to them and their relationships after the story ended. 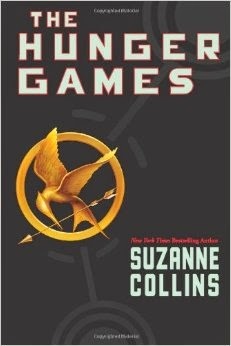 The Hunger Games by Suzanne Collins-OK, I know everybody else has read this series, but I was very skeptical of a book where the plot is about children killing children. Call me weird. BUT, despite the depressing subject matter, the series is definitely worth reading. I listened to the audiobook and the narrator was fantastic. Collins’ style is mesmerizing and incredibly relevant to the #BlackLivesMatter movement-the fact that some do not seem to make the connection between the book’s story and the news astounds me. Some themes are how poorer kids are considered easy to throw away; a divide and conquer mentality by the state; violence, extreme fashion and body modification considered acceptable even for children and how far our society is willing to accept in the name of entertainment. I can’t wait to listen to the next two books! 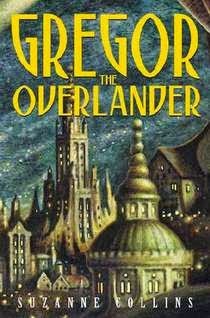 Gregor the Overlander by Suzanne Collins – Catching Fire was not immediately available at the library, so I decided to listen to another book by the same author. I was really surprised because the writing style and story is incredibly different from The Hunger Games. I do not think it is written as well, but it certainly is interesting, if not also weird. The story is about how an eleven-year-old boy and his young sister travel under the earth and go on an adventure to find their father. I found the boy annoying, egotistical, and unbelievably mature for his age. However, I kept on reading because I found the story interesting. I was surprised that I ended up liking the cockroach characters! I found the story both inventive and predictable, which is a hard task! I do not think I will read the other books in the series. 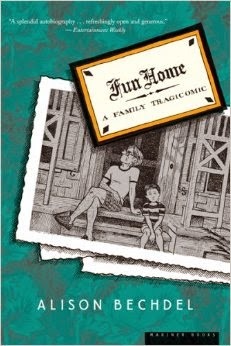 Fun Home: A Family Tragicomic by Alison Bechdel – This graphic novel was for my feminist book club and I enjoyed it, although if it had not been a graphic novel, then I think it would have been quite dry. I thought it was interesting the way Bechdel was able to draw parallels between her life and those of great literature and wish I was that creative-I wonder what famous stories and plays could signify the events in my life! Sadness permeates the book and is a reminder of why the closet is not a good hiding place. 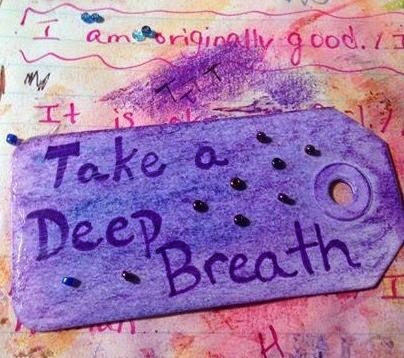 When a person denies who they are, the suppression of their true self will eventually suffocate their spirit and they will end up even more miserable than they would have been if they had been true to themselves in the first place. And many times they still end up hurting other people too. I was glad that Bechdel was able to get some closure after her father’s death, but I did not like how his relationships with boys was downplayed-I thought that was a more serious subject than the author made it out to be. Conversely, sometimes it seemed like the author was a bit self-indulgent, giving more weight to memories that seemed not that important to me. All in all, I recommend it, but it was not my favorite out of the graphic novels that we have read in the past. It has, however, been made into a Broadway musical, which I think is way cool and would love to watch. 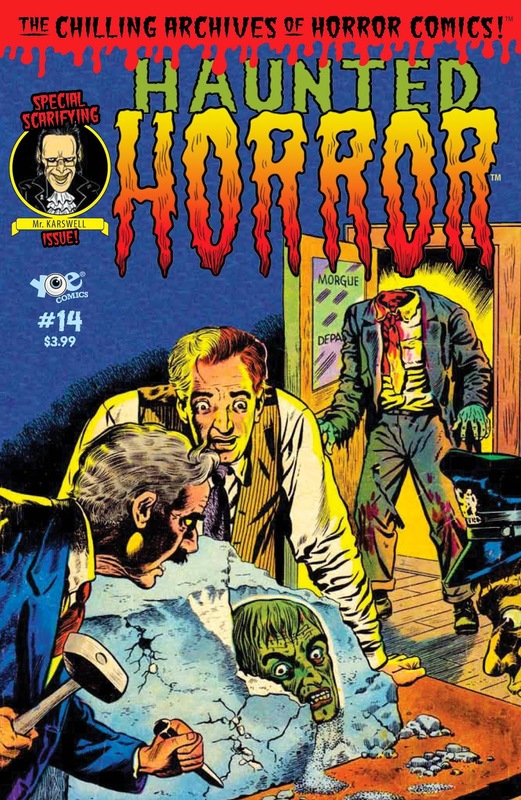 Haunted Horror Comic #14 was a lot of fun to read! I love old horror comics from the 50s & 60s and this was a compilation of some of the weirdest. The artwork was great and the stories were more funny than scary, which is what I like. “Horror of the Cannibals’ Dinner” is exceptional because it actually has a social justice ending; “I Walked at Midnight” is cute, but my favorite is “While the Iron was Hot.” I love the line, “But life was not all beer and skittles for Jeremiah Krump…not with a wife like Mamie!” I will have to start wishing people a life of “beer and skittles!” That story was not only funny, but also had the most horrific ending and it reminded me of a story that would have been a part of Tales from the Crypt. I want to read more from the Haunted Horror comics and I also want to start reading “Weird Love,” a collection of weird love stories from the 50s & 60s that was advertised in Haunted Horror. I am sure that it is also hilarious! 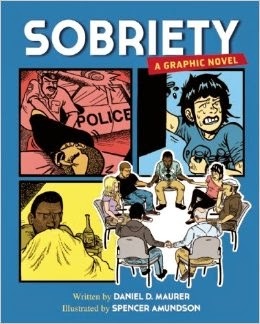 Sobriety: A Graphic Novel written by Daniel D. Maurer & Illustrated by Spencer Amundson – I read many fabulous books in December, but this Speakeasy book was actually my favorite! Sobriety explains Alcoholics Anonymous’ Big Book in a fun form that I think will be easier to digest for young adults. I liked that its main angle was how the spiritual aspect of the twelve steps can apply to different types of people, from the already uber religious to atheists. Yes, everyone in recovery from addiction has to follow the same twelve steps, but it is not true that everyone has to think about them in the exact same way and I think that is a powerful point to make because a lot of people get hung up on that. I also liked that the book had characters from different races, genders, sexualities, religions and ages-in the past, I have felt that addiction portrayals of people have been too homogenous, but this diversity both modernizes the Big Book and makes it more accessible. This book covers a lot of material in a fairly small book, including a part about Viktor Frankl, which really made me happy, as his book, “Man’s Search for Meaning,” also has strongly influenced my life. I recommend this book to anyone who wants a fun and novel way to read about addiction recovery. It would especially be good for a young newcomer. 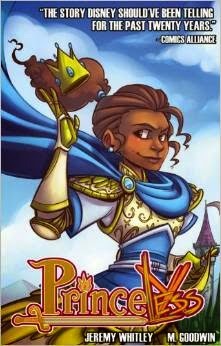 Princeless Book 1: Save Yourself Written by Jeremy Whitley & Illustrated by M. Goodwin - This comic was my other favorite! 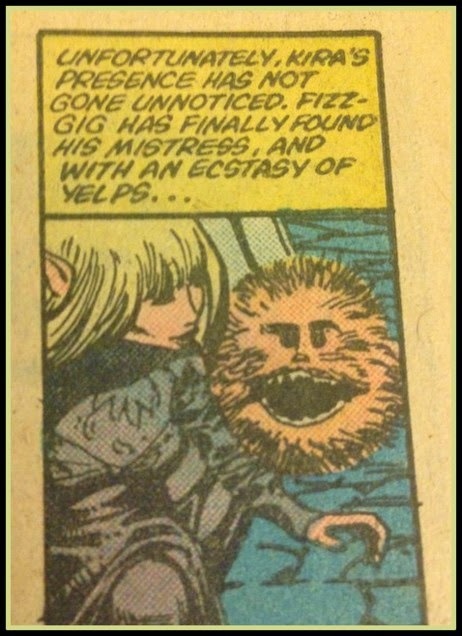 Like The Dark Crystal comic, I discovered it at Dragoncon in the comic gallery. It has been voted one of the best feminist comics and I can see why: a teenage princess of color gets locked in a tower, but gets tired of waiting for her prince to rescue her, so she hops on her dragon, rescues herself and goes on a quest to rescue her sisters! It's funny, touching and groundbreaking in how it teaches feminist concepts to youngsters. Even though it is probably aimed at the middle school crowd, I love it for myself. I want to give it as a present to some young person, but I don't know who! 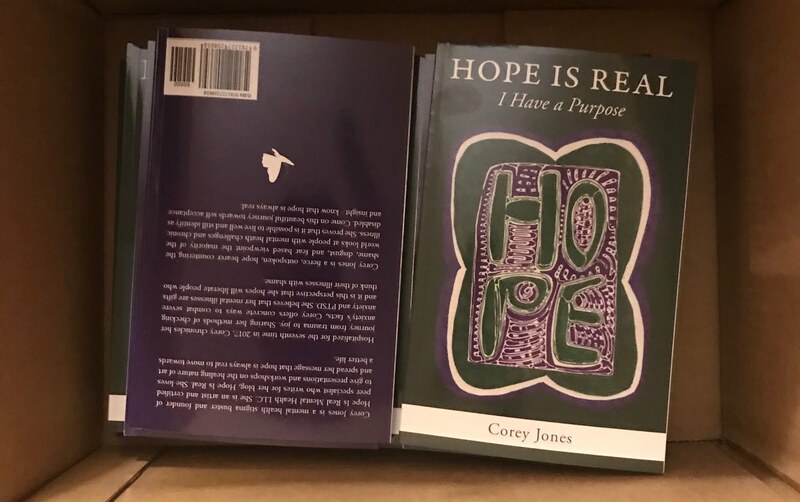 I think it has enough action so that it would appeal to both girls AND boys and would make a wonderful gift to a young person who needs to expand their feminist and reading horizon. Complexity is a wonderful thing.